The Novick Award is named after Dr. Andrew C. Novick from the Cleveland Clinic. Dr. Novick was a one of the founders of the USTRS and a world-renowned kidney surgeon. The Award was named after him in 2009, after his passing in 2008. Dr. Novick has been credited as one of the most innovative, devoted, patient-oriented, thought-leader in the field of kidney surgery. He joined the Cleveland Clinic in 1977 as head of the Section of Renal Transplantation in the Department of Urology. In 1985 he was appointed Chairman of the Department of Urology (renamed Glickman Urological Institute in 2002). The world-renowned urologist helped design one of the most prestigious facilities in the world -- the Glickman Urological and Kidney Institute at the Cleveland Clinic. In 2007 he was appointed Chairman of a new institute at the Cleveland Clinic, the Glickman Urological and Kidney Institute, which houses a multidisciplinary team of urologists, kidney and pancreas transplant surgeons, nephrologists, dialysis physicians and basic scientists. Dr. Novick is the inaugural holder of the Andrew C. Novick Distinguished Chair in Urology, which will be held in perpetuity by the Chairman of the Glickman Urological and Kidney Institute. It is currently the largest and most subspecialized urology program in the world. Dr. Novick’s personal clinical and academic career has been devoted to the management of end stage renal disease through renal transplantation, and to preserving renal function through reconstructive surgery in diseases such as renal malignancy and renal artery stenosis. An expert in treating kidney cancers, he pioneered nephron-sparing surgery that is credited with giving many patients longer lives. Dr. Novick has edited or co-edited 14 urologic textbooks including Campbell-Walsh Urology, which is the major reference text in urology. He has authored 591 original scientific articles in peer-reviewed journals and 104 book chapters. He has served as a Visiting Professor at 136 academic medical centers throughout the world. Dr. Novick is Past-President of the American Board of Urology, Past-Chairman of the National Urology Residency Review Committee and Past Chairman of the American Board of Urology/American Urological Association Examination Committee. He is the only urologist ever to have held all three of these leader ship positions within his specialty. 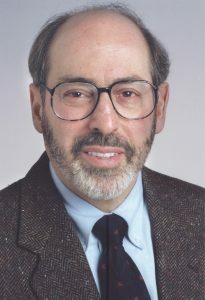 Dr. Novick has received several career-achievement awards including an Honorary Fellowship from the Canadian Urological Association (1997), the Sean O’Sullivan Canadian Research Award (2000), an Honorary Fellowship from the Royal College of Surgeons of Ireland (2003), the St. Paul’s Medal from the British Association of Urological Surgeons (2004), the Russell Scott Jr. Award from the American Urological Association (2004), the Barringer Medal from the American Association of Genitourinary Surgeons (2007), and the SIU-Astellas Award from the Societe Internationale D’Urologie (2007), the Ferdinand C. Valentine Medal from the New York Section of the American Urological Association (2008) and the Ramon Guiteras Award from the American Urological Association (2008). Sadly, Dr. Novick passed away at 60 years of age in 2008.